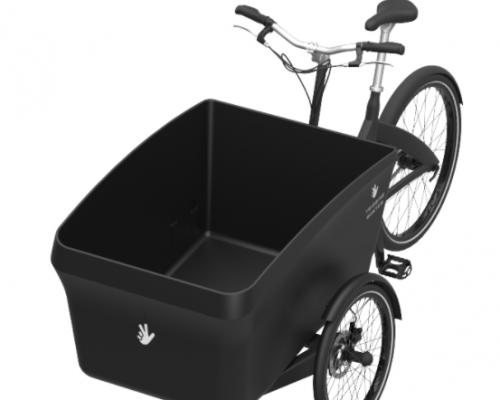 Fancy building your own cargobike? Cream and orange frames only and available as short or long frames for the same price. 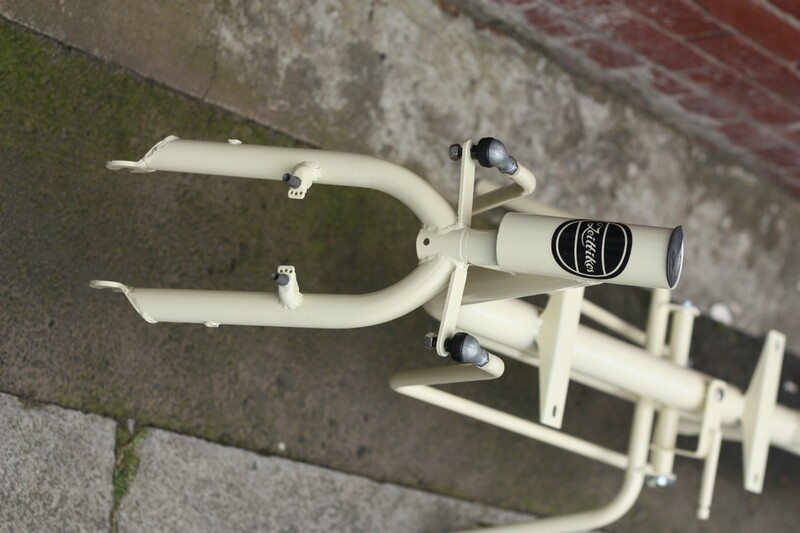 The frameset includes the stand, stand spring and fittings, the steering arms with rod ends (heim joints), front forks, steering tube and a colour matched heavy duty rear rack. 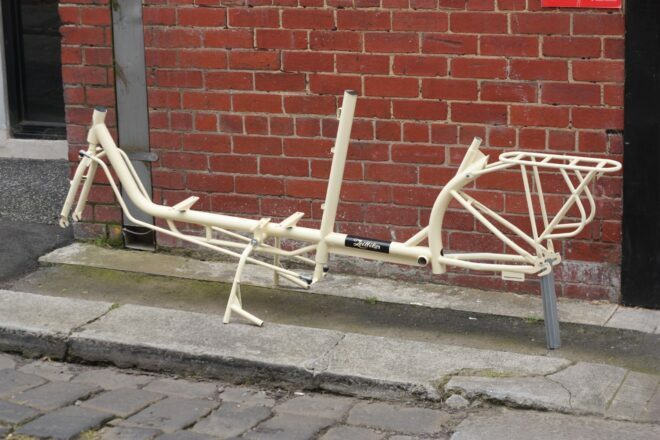 You will need to add two sets of headset bearings, drivetrain and wheels. The steering tube uses a standard quill stem. The frames are setup for a rear drive with an internal hub and roller brake. Front forks have fittings for v-brakes.